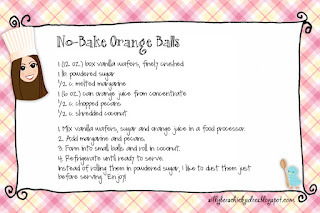 These are the deliciously tart orange balls no proper Southern Christmas dessert table would be without! I actually think they would be perfect for a Springtime bridal shower. 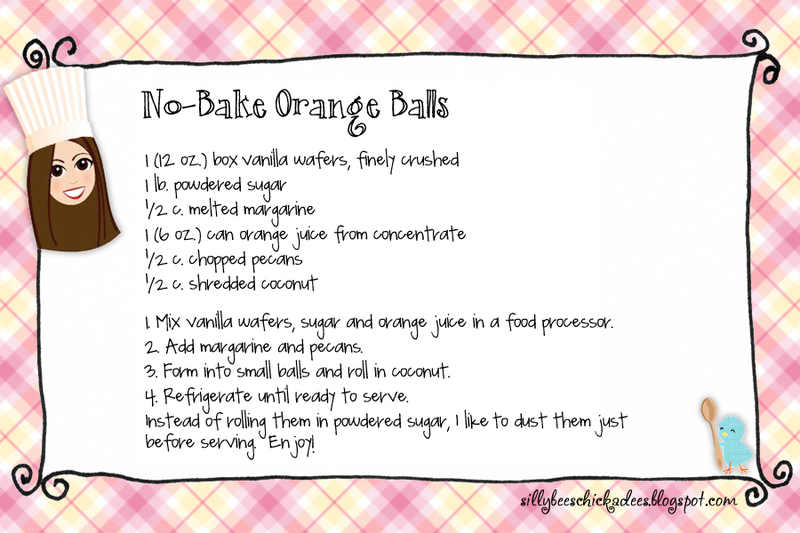 They are served best straight from the fridge-- a cool tangy treat. Enjoy! 1. Mix vanilla wafers, sugar and orange juice in a food processor. 2. Add margarine and pecans. 3. Form into small balls and roll in coconut. 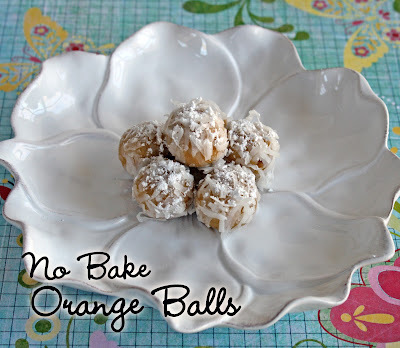 Instead of rolling them in powdered sugar, I like to dust them just before serving.